This free seven-session program is designed to give you the tools you need to feel successful through the quitting process. 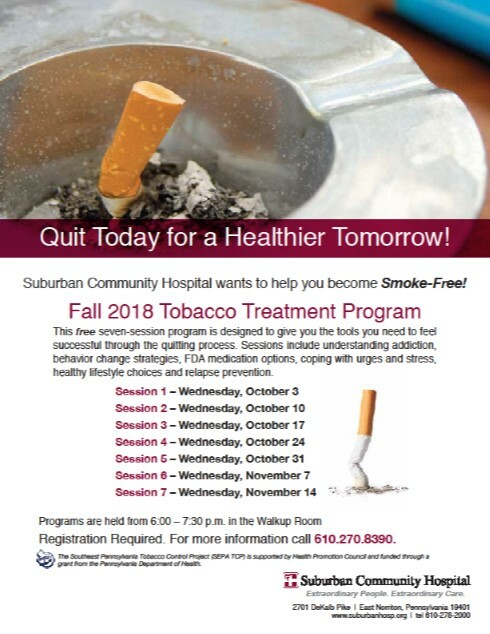 Sessions include understanding addiction, behavior change strategies, FDA medication options, coping with urges and stress, healthy lifestyle choices and relapse prevention. Registration Required. For more information call 610.270.8390.